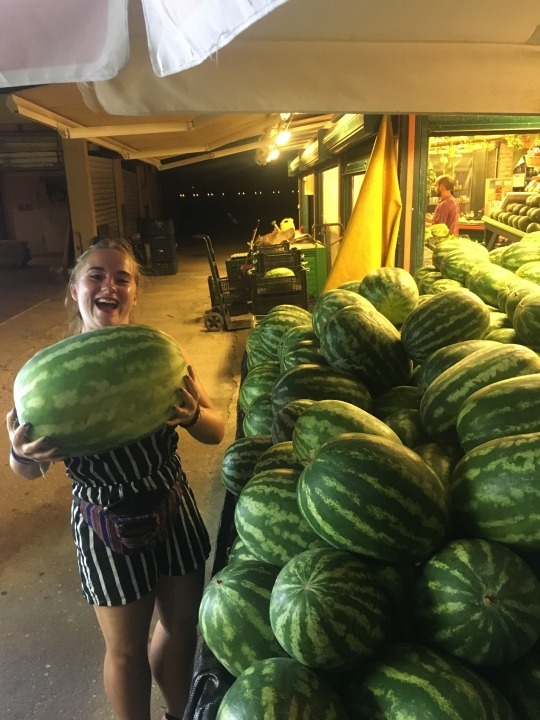 Carrying on from the Courtney wedding – Steve and Sarah jetted off to Kefalonia for their honeymoon. 1 week later, 14 of us in total joined them and the 16 of us all got to enjoy part of the holiday together. A holiday with great family and friends meant that it was guaranteed to be a week full of positive vibes. 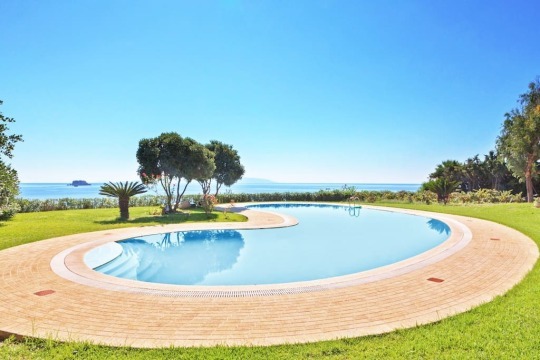 11 of us stayed in a huge villa that was on the edge overlooking the sea. With steps at the bottom of the garden leading down to a private part of the beach. It was DREAMY. 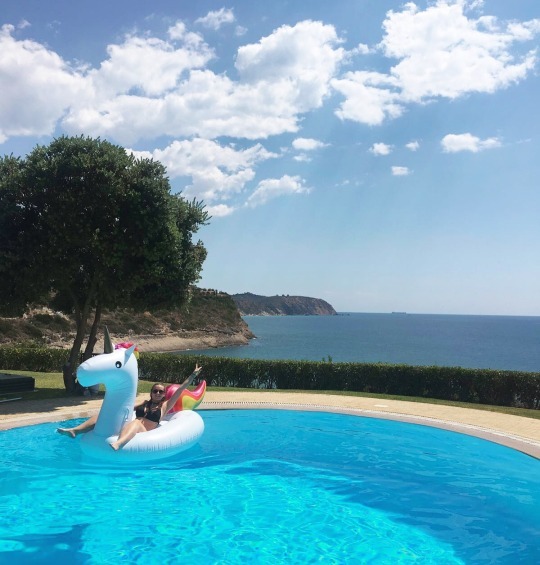 We also had a HUUUUGE pool where we came prepared with some oversized inflatables! Besides Majorca when I was 9 years old, this is the first sunny chilled out holiday I’ve had! The last time I stayed in Greece was when I came to Zante with Gina on a party holiday. We could in fact see the same island in our garden. We stayed in Ai Helis which is a remote part of the island located right by the airport. 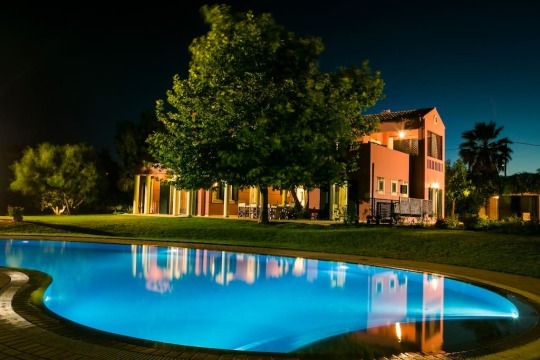 This meant a few times a day we had planes flying right over our pool ready for landing – it was awesome! We were about 8km from Lassi, a small nearby tourist town where we went to regularly to visit the bars and restaurants. 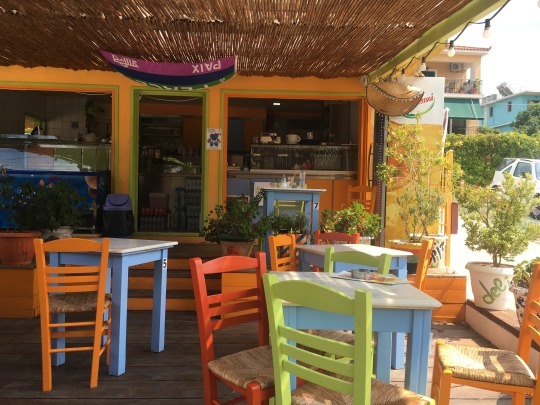 On one afternoon, Mike and I decided to take the moped out that we had all hired and drive to Lassi for lunch and then stay by the beach for a bit! 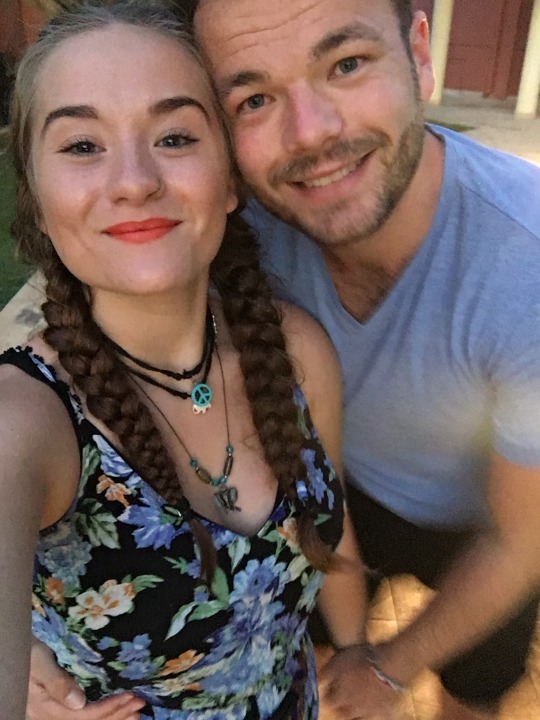 We were itching to get out and explore as thats what we love to do but it was nice to chill for a week! 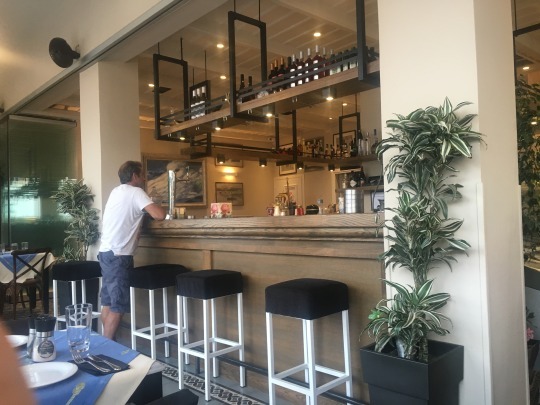 Lassi was located in the larger area of Argostoli. This being the capital We visited here once and had an amazing dinner on the harbour, followed by late night shopping on the streets and cocktails! 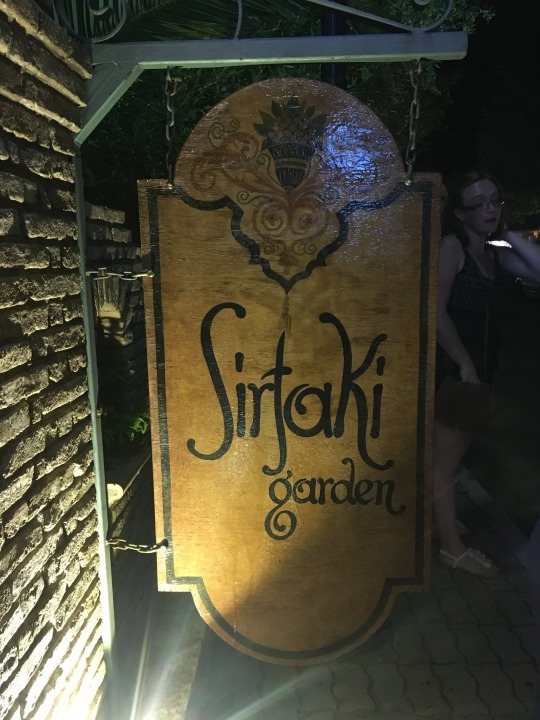 There were two restaurants that really stood out for me. 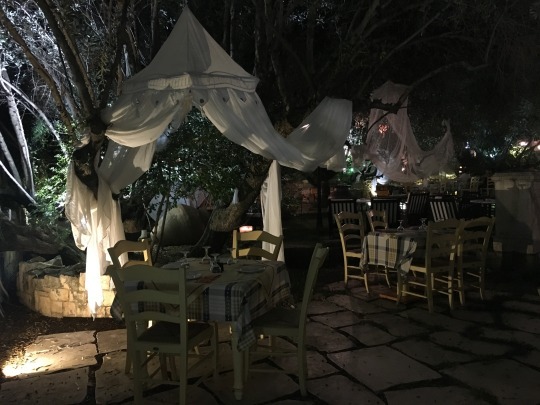 On our last night, we visited Taverna Sirtaki in Lassi where we sat in a quiet part of the garden – a beautiful atmosphere. This restaurant was also the one I found to provide the most vegetarian food so I was happy. It was a shame I was a bit ill so I couldn’t enjoy it fully! I had fried mushrooms for starter (always) and stuffed peppers and tomatoes for a main! Right up my street! 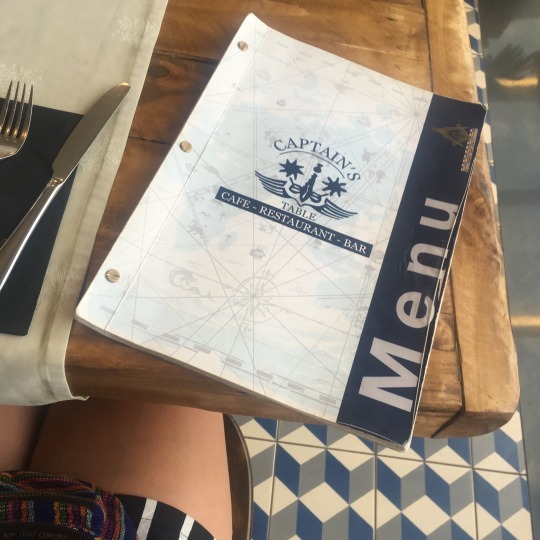 The other restaurant, as mentioned before was Captain’s Table in Argostoli. 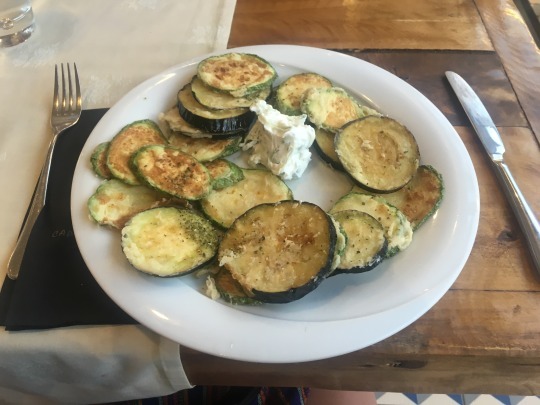 I had a plate of aubergine and courgette for starter and it was so big it could have been a main! 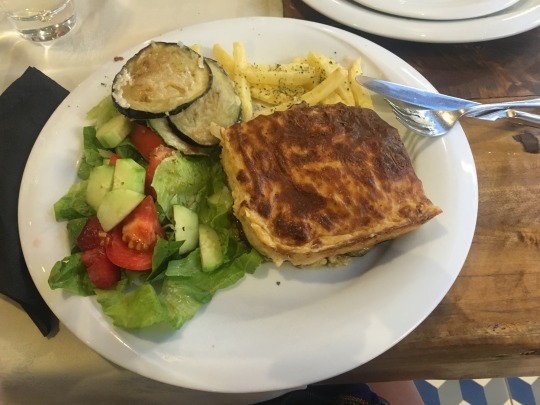 For my main I had vegetable Moussaka. 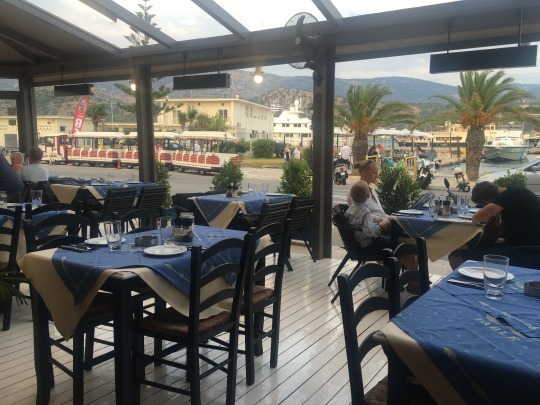 It was the first restaurant we visited that offered a vegetarian alternative to the traditional Greek dish. I couldn’t believe I finished everything. There was SO much food! 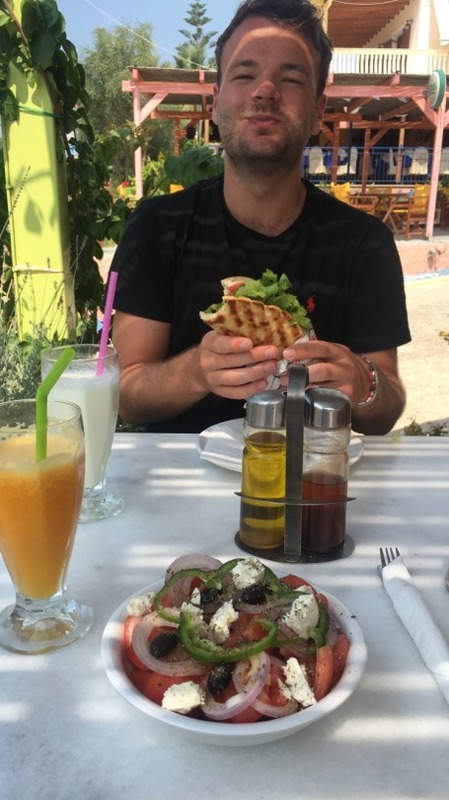 Writing this is reminding me how good the food was in Greece. I’m writing this on an empty stomach – not a good idea! 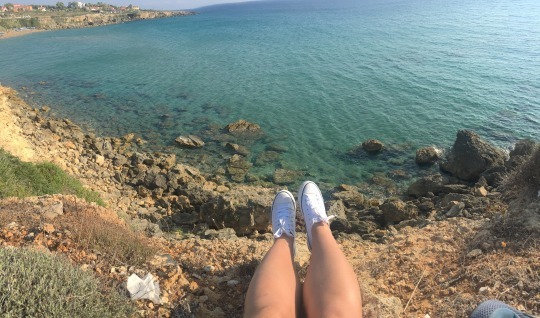 But seriously, I recommend everyone visits Kefalonia. 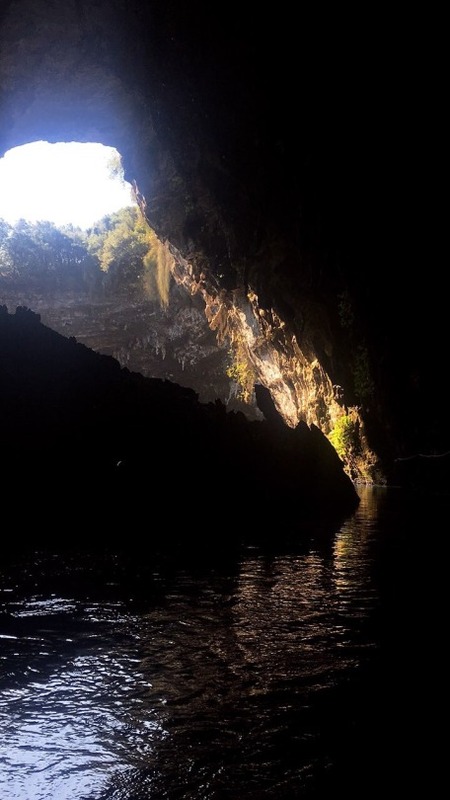 It is such a small Island, the main tourist attraction being Melissani Cave. Using our new favourite taxi drivers, they drove us to the other part of the Island and waited for us for just over 20 euros each! Floating through the saves on a small boat – the tour guide gave us so much information about the history. Always such a highlight when visiting a new place! Another highlight of this trip were the taxi drivers. They are so friendly, knowledgable and helpful. Taxi journeys were never boring. They were always filled with a history and geography lessons by the driver. I love taxi drivers abroad so much, they always help you find the best places!